Just a basic coat of stain black for the prototypes, but these are going to be GOOD! Perdy.... Top driver looks to have its own enclosure..midbass? Yep, and the lower portion is a transmission line with a rear port. What drivers will you be using? 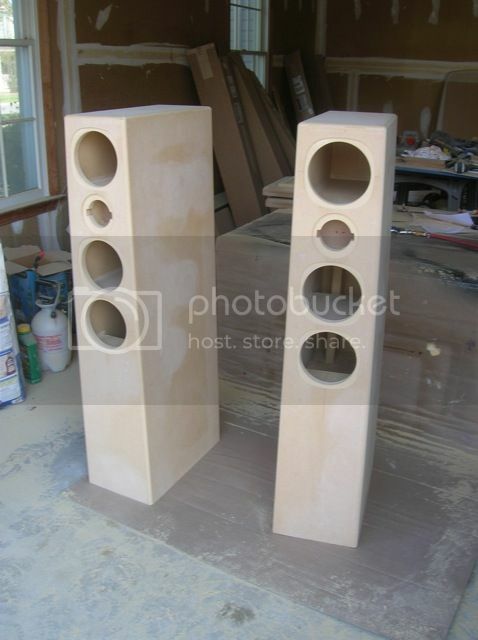 The tweeter is from SEAS, and the woofers are custom made for us. 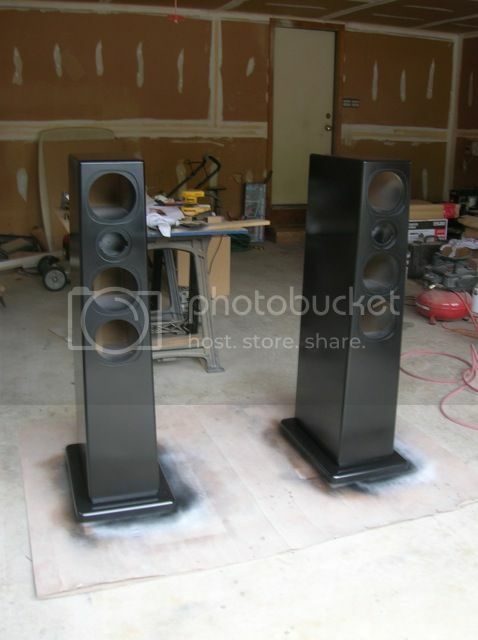 They are a cousin to the woofers that we used in the Trinity, but customized for this design. Any difference between the top and bottom drivers, or is it strickly box tuning and crossover. Any pics of the back of your driver design? Just box tuning and crossover. The drivers are the same. I don't have any pictures of the driver outside the cabinet at the moment, but if I get a chance to take one I will. Super tks. Will there be a matching Center? Not really sure yet. It's not a huge stretch to think there might be an updated Trinity using the new tweeter at some point, but we aren't at that stage yet. 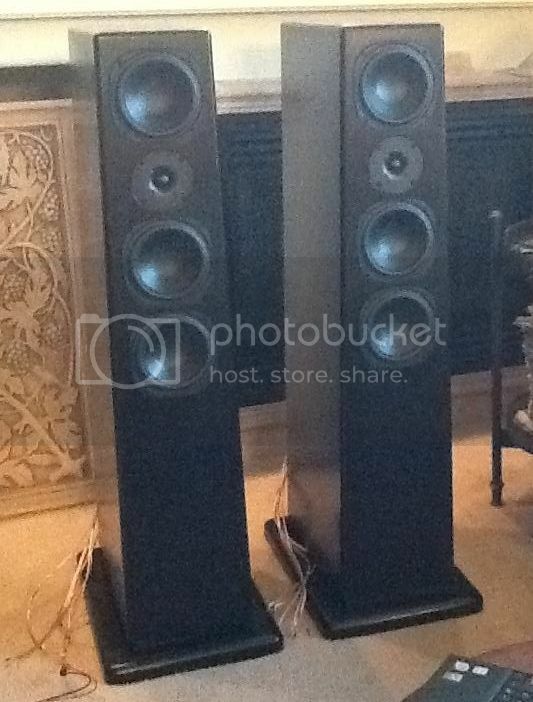 The few people who have heard these prototypes thus far have suggested the sound signature is similar overall. One said it was "like a Trinity on steroids" so it's possible the two would play nice together even with the mismatched tweeter. I"ll have to try it myself once I get my hands on a pair.